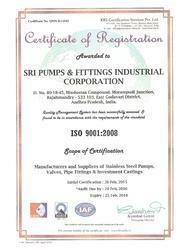 Established in the year 2008, "Sri Pumps & Fittings Industrial Corporation", an ISO 9001: 2008 Certified Company is one of the most established Manufacturer and Exporter entity offering stature Pumps & Fittings Products. 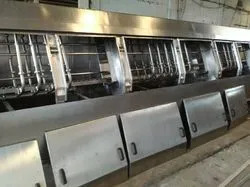 From conceptualization to design and final fitting of the pump, our knowledge makes us answerable to cater a broad range of highly needed machinery and equipment, which includes Cleaning Equipment, Dairy Equipments, and Storage Equipments. Our offered complete pumps and fitting products are extensively praised for the quality assurance, a state of art technology, sturdy performance, power saving properties and maintenance free functional life. 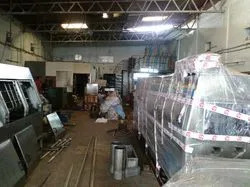 Apart from the award quality of our developed equipment, we have received a coveted list of customers due to the timely and flexible installation services rendered by our team of trained technicians. We are exporting globally. Our quality products and consolidated services have presented us the superior business entity for the broad number of industries. 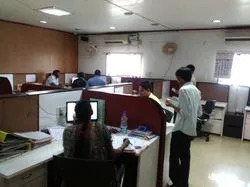 Moreover, our aim is to provide innovative pumps and fittings products, and we do this by continually devising the technological method and product strategies at our modern R&D centers. We are pleased to become the most skilled manufacturers of pumps that operate on prevailing technology. This, indeed, benefits us to sustain highest levels of client content. The worthy guidance of "Kirti Kothari" (CEO), drives us to accommodate and implement the modern technology. He is supported with different industrial expertise and technological awareness, which inspires us to deliver world-class pumps. Our team is operating as a family with a collaborative mission to become the top pump manufacturer existence in the country. Our team is highly trained and skilled to employ the essential tools and machinery. Our qualified and dedicated manpower includes manufacturing engineers, qualified technicians, quality control associates, price examiners, warehouse supervisors and steady sales and marketing personnel. Owing to the specialist team and deep examination and study done by them, today we have created a cranny in the pumps and fitting industry. Moreover, our efforts to increase embodiment of long lasting relationships with our prestigious clients would not have been viable without the elastic and agile approach towards predominating technology. Besides, industry¿¿s likely vendors and logistics companies also perform a significant role behind our sustained growth. We are an ISO 9001:2008 Certifed Company. We perform latest technologies at our strong and modern infrastructure to manifest the perfection of our workmanship. Our purpose to deliver best in class results and comprehensive services is underpinned by the state of art production set up. 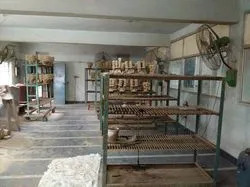 Incorporating a wide area, with sufficient development facilities, our fully furnished infrastructure is parted into high-speed production units, with wide storage repository units. 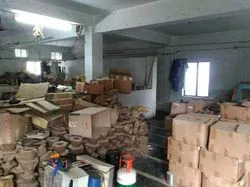 Moreover, we have highly implemented quality testing units to further optimize the authenticity of our production activities. Our concept is to provide safe and treated water, and we do this by operating with full assent to the set industry standards of quality and safety. Our quality control team proves the obtained raw material and examines the finished machinery on the basis of its execution and ability to pump water. Each of the finished machines endures rigorous quality inspections to guarantee that it will live up to the clients¿¿ expectations.